Since my late teens, I have been known to never be without two things: chewing gum and Vaseline. You can glean from these permanent handbag essentials that I like fresh breath and greasy lips. Yes, I am one of the many who has succombed to what's known to the Vaseline-fiend as 'grease addiction'; namely the need to constantly have a degree of slip on one's lips. Harmless, you might think, but ask any Vaseline user how their day has panned out when they have forgotten their precious emolient, and they will recount tales of emergency lunch time trips to the nearest Boots, and an afternoon that was lost to the heady pleasures of multiple applications. If you're interested, I counted three tins of Lip Therapy and two of the full size, pick-them-up-on-the-baby-care-aisle pots last week, all dotted at various locations around the house - quite literally my Petroleum Pit Stops - with one a permanent fixture on my night stand. It was then that I realised: I've got it bad. I started to wonder if this is something I should be concerned about, and began researching to decide whether Vaseline was less friend and more foe. Vaseline is a by-product of crude oil processing, and considering the vast quantities of oil consumed annually, Vaseline production alone does not put any significant strain on the environment. That's a tick in it's favour. It is, however, a petrochemical, and as I don't ever get the urge to go down to the local petrol station and moisturise with a gallon of unleaded, I started to wonder why I consider it acceptable to use this products on my lips. That said, there is, no evidence to suggest that long-term use of petroleum jelly is bad for your health. Another tick. After doing a little more research, it started to make sense as to why the cycle of Vaseline use is so hard to break. 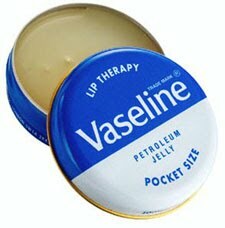 Vaseline is an occlusive, meaning that it sits on the skin rather than being absorbed into it. Where other lips balms generally sink in a few minutes after application and leave the lips moisturised but without slip, Vaseline stays on the surface until it's wiped or transferred away, leaving that comforting 'greasy' feeling that we addicts find ourselves longing for a few hours post-application. So, as it's not actually moisturising my skin, which was my motivation for starting to use it all those years ago, I seem to be pretty far from my original goal. Try Arbonne, their lip balm has saved me from a 20 year grease-addiction. 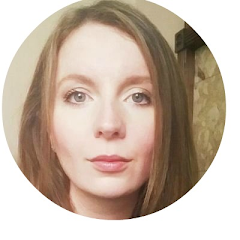 I'm currently in withdrawal, the corners of my mouth have split as I go cold turkey but Arbonne is the only thing that has enabled me to have a day Vaseline-free without my lips bleeding, literally.